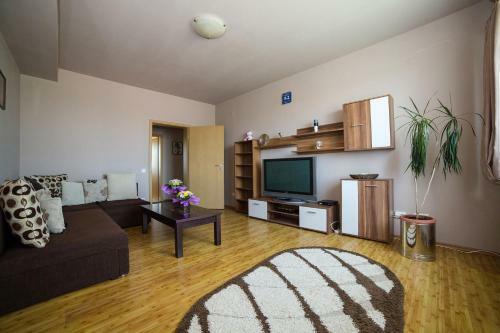 Comfort apartment, fully equipped,not so far from center of Alba Iulia,easy to find. Plenty car park places. The owner took us in the bus station. He is really friendly and he was available for us when we arrive and when we left. The apartment was well equipped with everything that we needed. It was everything clean. 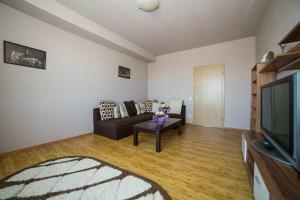 Pleasant, confortable apartment with good location and kind owner. Curățenie, aproape de centru, apartament echipat complet, camere mari, pretul bun, se poate merge si cu copii mici. Locație centrală, apartament cu două camere foarte curat si utilat, ideal pentru familii cu copii. Proprietarul foarte prompt, preț bun in raport cu calitatea serviciilor Recomand. La struttura è pulita e dotata di tutti i comfort. Dalla cucina alla lavatrice e aria condizionata. È molto vicino al centro e alle fermate dell'autobus. Spatiul generos, vedere frumoasa spre stadion, pat confortabil, baie curata, masina de spalat. Apartament spațios, aproape de cetate, are vedere și la bulevard și în spate către stadion, păcat că nu a fost nici un meci. Are tot ce trebuie, poate mai multe programe la tv. Prețul decent, spațiul amenajat plăcut, liniște deplină în zonă și în bloc, prosoape mari curate, totul curat, amabilitatea și încrederea deplină a gazdei (la plecare, deoarece nu putea ajunge la timp pt predarea cheilor, gazda ne-a rugat să lăsăm apartamentul descuiat și cheile pe masă, fiindcă "oamenii sunt de încredere"). Apreciem, domnule Dragoș! Lock in a great price for Apartament Stadion Residence - rated 9 by recent guests. 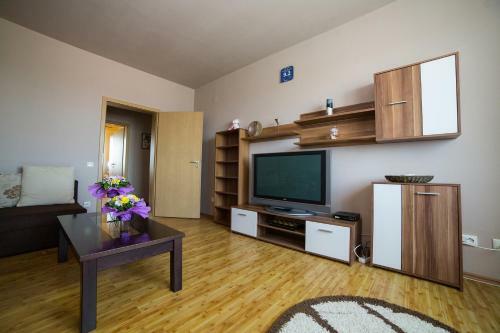 Located 30 yards from the city stadium in Alba Iulia, right opposite a hypermarket, Apartament Stadion Residence offers free WiFi access and free public parking on site. Air conditioning is available. Featuring a covered balcony with a view of the city, the self-catering unit comes with a washing machine and a flat-screen TV with cable channels, as well as a DVD player. There is a kitchen with a microwave and a regrigerator, and the bathroom is fitted with a bath. 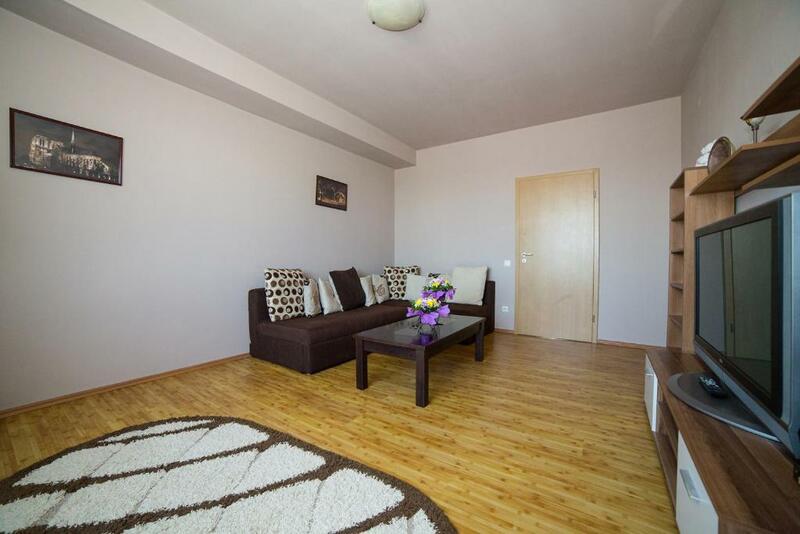 The Upper Town Region is set 0.9 miles from Apartament Stadion Residence. Alba Iulia Train Station is at the distance of 2.2 miles. 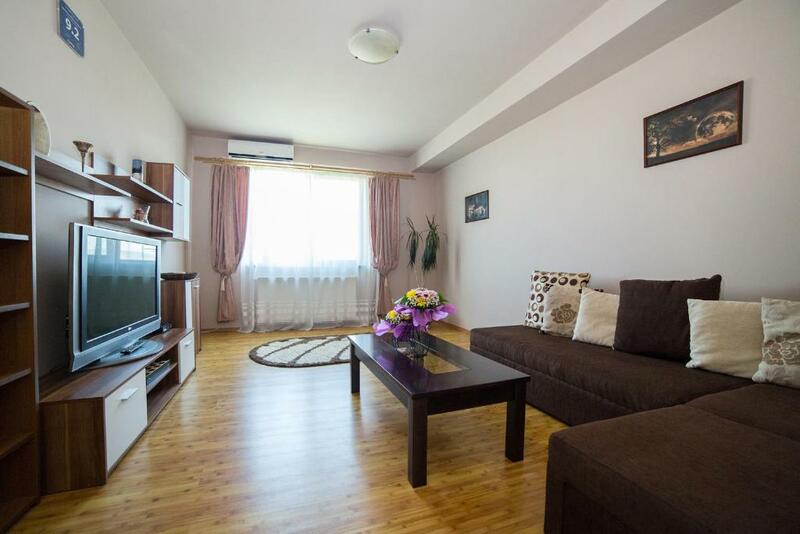 Apartament Stadion Residence has been welcoming Booking.com guests since 11 Sept 2014. 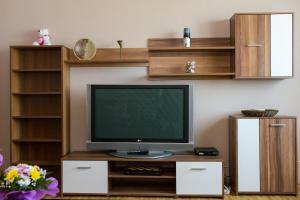 When would you like to stay at Apartament Stadion Residence? This apartment has a balcony, sofa and oven. Vecini foarte civilizati si cu bun simt. House rules Apartament Stadion Residence takes special requests - add in the next step! A damage deposit of RON232.9 is required upon arrival, which is about GBP42.38. This deposit is fully refundable during check-out as long as there has been no damage to the property. Please inform Apartament Stadion Residence in advance of your expected arrival time. You can use the Special Requests box when booking, or contact the property directly with the contact details provided in your confirmation. A damage deposit of RON 232.9 is required on arrival. That's about 43.31GBP. This will be collected as a cash payment. You should be reimbursed on check-out. Your deposit will be refunded in full in cash, subject to an inspection of the property. A great modern apartment in a high-rise block standing in 15-minutes walk distance from Alba Iulia fortress. The apartment can easily fit two couples! This apartment can be paid through the Booking app. Kaufland is 10 minutes walk away. Fuel station is right below the apartment. There's a buffet with great budget local cuisines right across the street. The owner speaks English fluently, communicates through the app or with phone. Parking slots are right above the windows. The apartment is on the fourth floor, but the block has an elevator. Not clean apartment, sheets on bed is used before, and nobody change it. Also, dust inside apartment is on all furniture. 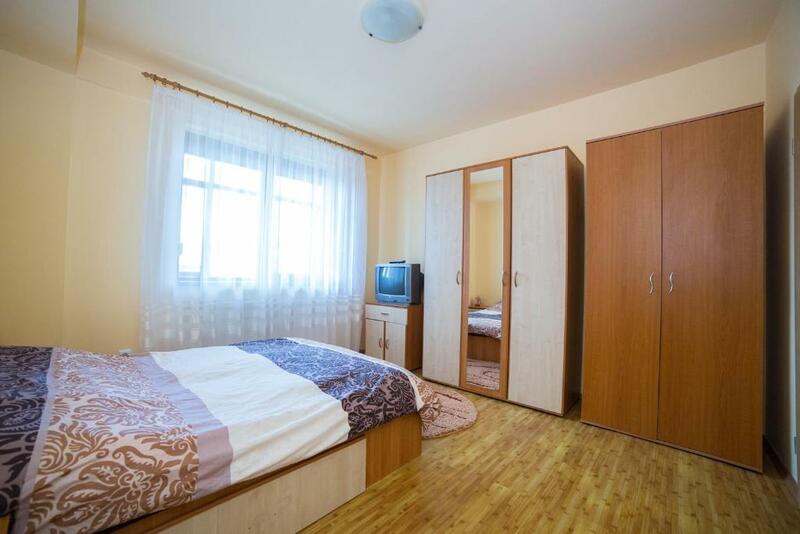 First of all the apartmant not contains two bedrooms with double beds as it was described on website and in fact in the second bedroom is an expandable sofa. 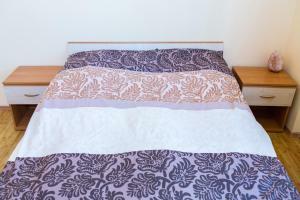 In both rooms the bed linen was dirty, with traces from last visitors. 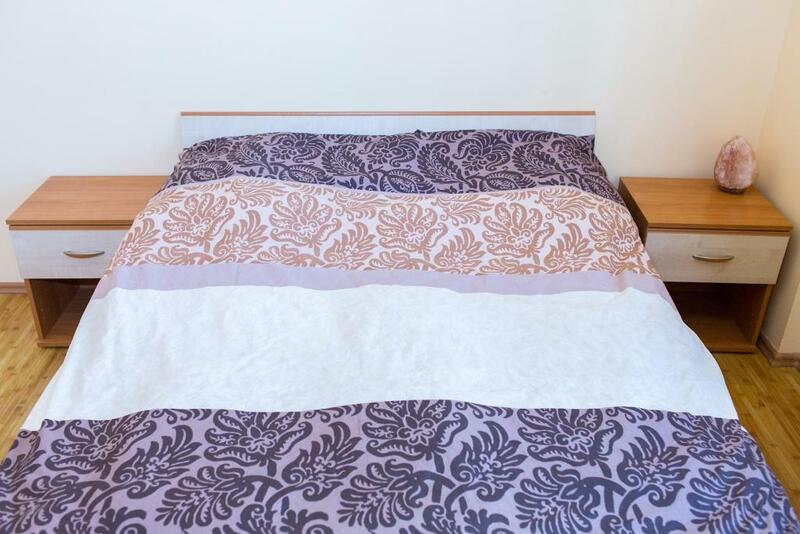 We was very surprised to found also another sets of dirty linen in the wardrobes, but after we a while we found also some clean linen in a storage closet and we have changed the one which was on beds. It is not acceptable such a situation! Also in the bathroom we had an intimate liquid soap to wash our hands and face instead of a normal type. The bathroom had a bad smell of mold and there was no any kind of vent! The toilet paper had only about 2-3 meters and there was no any spare roll! There is also very poor power of lights in all rooms of apartment! The preparation for renting of the apartment was very poor! There were many of cleaning products, but were not used by the owner.